Some clients like Mail on Apple Watch will display your message without images or formatted text. This plain text version of your template can also be edited with Mail Designer 365. 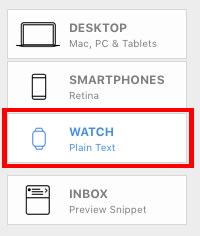 To do so, open the plain text preview by clicking the watch button. You will now see a version of your template that you can edit for users who have disable HTML emails. 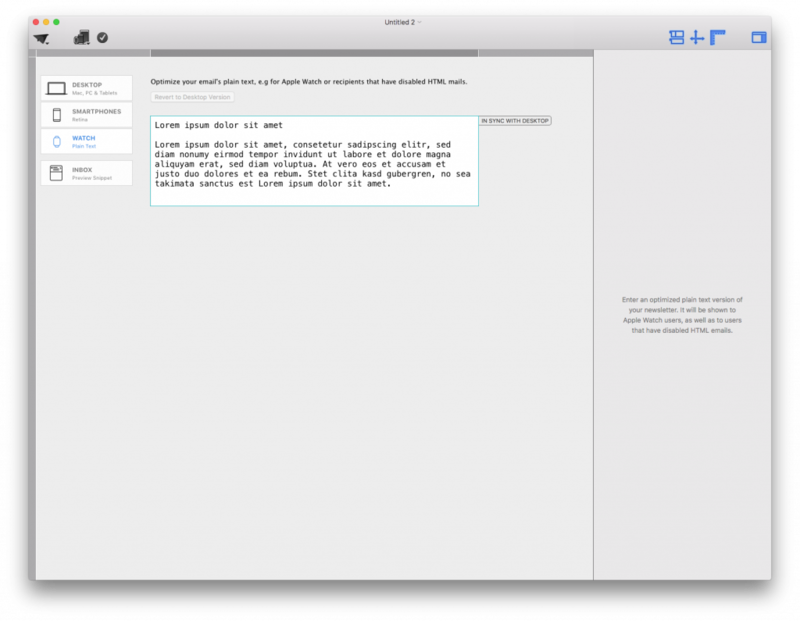 This is ideal for the Apple Watch and individuals who choose to just want the plain text version of their emails – no rich text, no formatting.